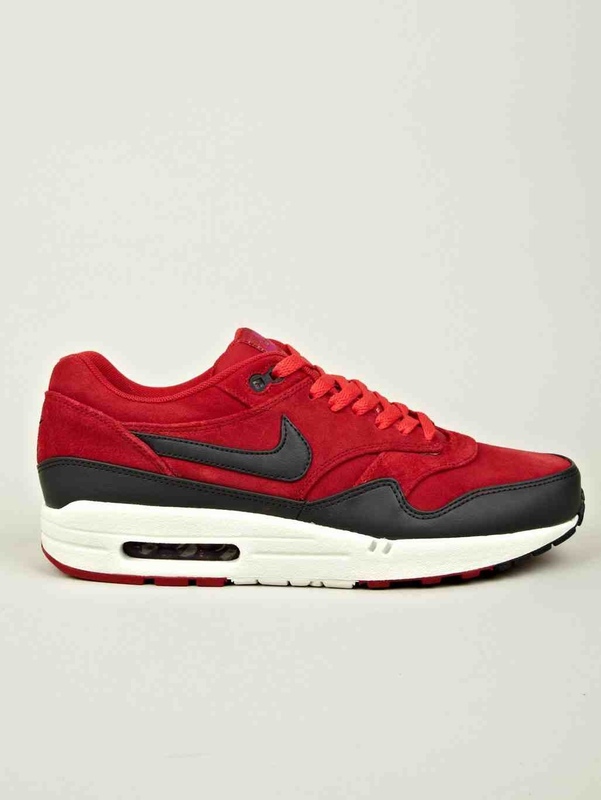 The Nike Men’s Air Max 1 PRM Sneaker, seen here in red. 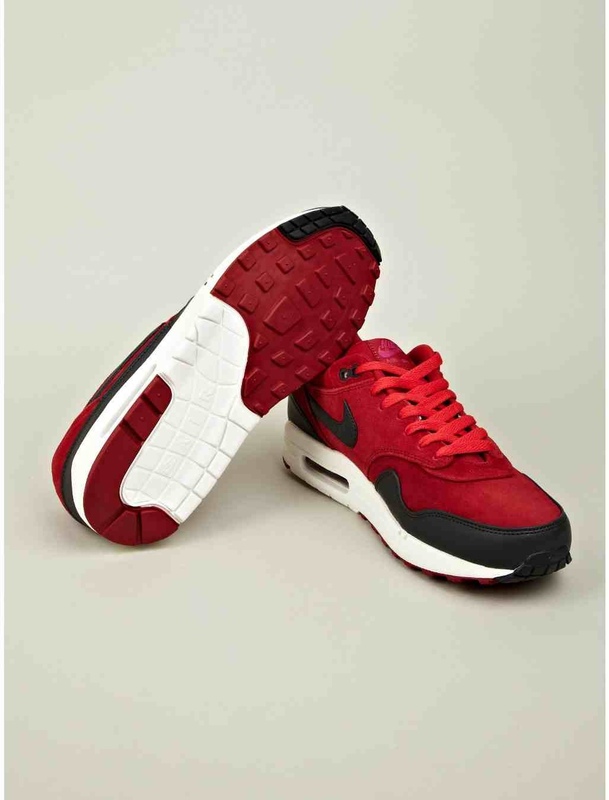 Originally released way back in 1987, the Air Max 1 is now a classic running shoe and an ever-popular streetwear icon. Revisited season after season, the familiar silhouette is produced here in a bold blue and grey colourway, proving definitively that brighter is better. Crafted with uppers of soft suede with smooth leather trim, this iconic style features contrast branding on the tongue and heel, as well as the brand’s famous swoosh down each side. 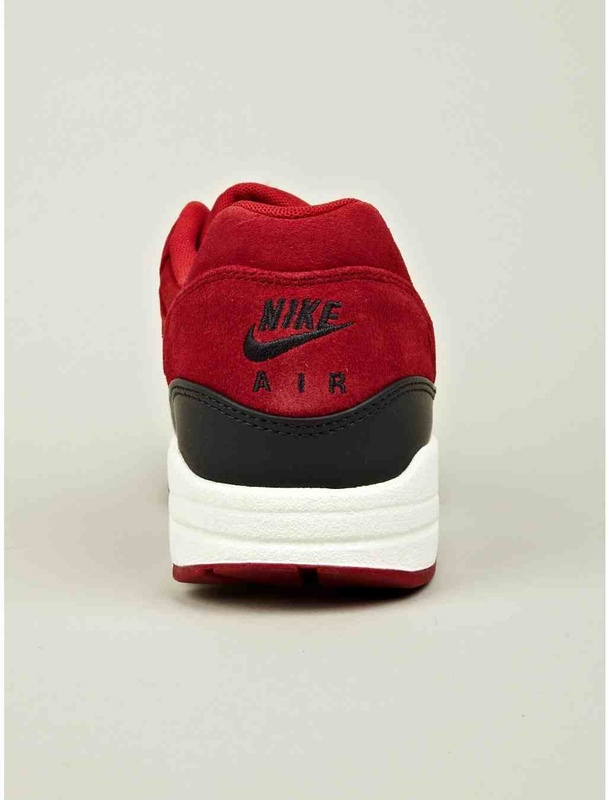 Built onto the thick and cushioned Air Max sole-unit, the Air Max1 is every bit as impressive now as it was on its release in 1987.